So Lonely in Gorgeous: Searching For Beauty Products is Half the fun Week Eight: So Lonely In Gorgeous Scavenger Hunt Giveaway! Searching For Beauty Products is Half the fun Week Eight: So Lonely In Gorgeous Scavenger Hunt Giveaway! Cosmetics are not my only vice; I'm also a MEGA HUGE anime/manga nut! Since the age of 14, I've been collecting manga/anime. Here's a photo from an anime convention I attended during my first trip to Japan back in 2002. 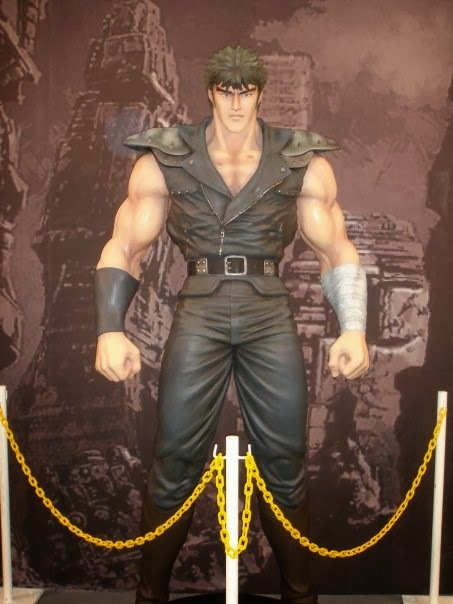 Hokuto no Ken (Fist of the North Star) was one of the first animes I saw. It's one of my all-time favorite manga/animes, with one of my favorite characters, Rei. What are some of your favorite animes/mangas?